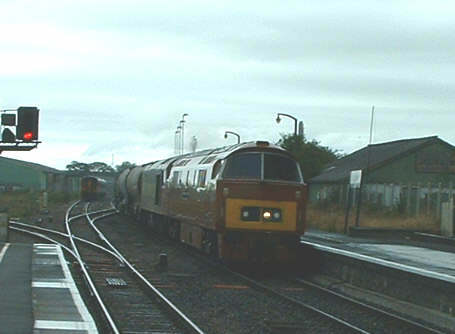 We start with a visit on a Sunday evening in May 2002. 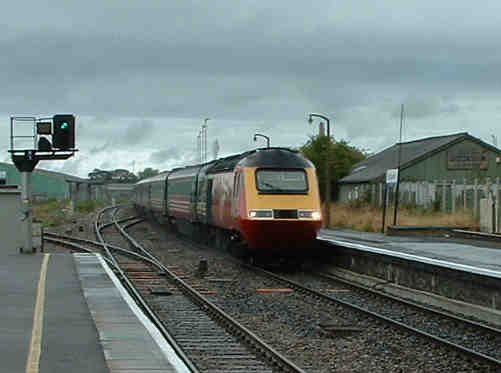 The first is of a First Great Western InterCity 125 passing through Bridgwater Station on an up working. 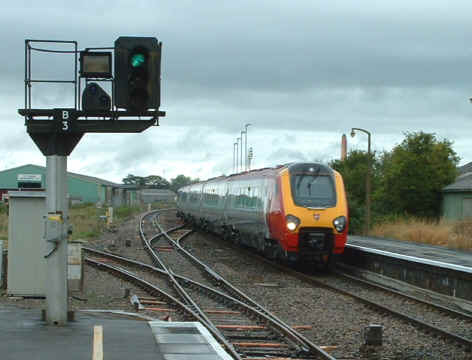 This was closely followed by a Virgin Cross Country service hauled by a Class 47 loco which by this time was almost on borrowed time as the Virgin Voyagers were starting to appear. 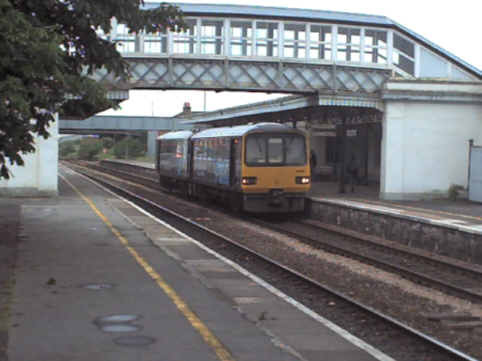 Next came a Class 143 Pacer, hard to call two buses on rail wagon chassis a train, but that's what we got. 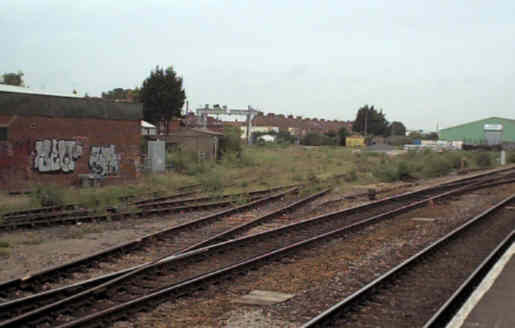 Bridgwater Goods Yard is active, including nuclear flask traffic for Hinkley Point, not that you'd believe it from the weeds. Another visit, on a very wet August afternoon, started off with a Virgin 125 heading down. This was closely followed by a near new Virgin Voyager, also heading down. 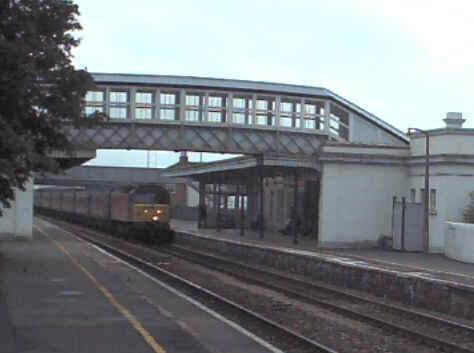 Next an up train, a Wessex Trains 158 and 153, with 153353 on the rear, on a working to Pembroke Dock according to the destination indicator. 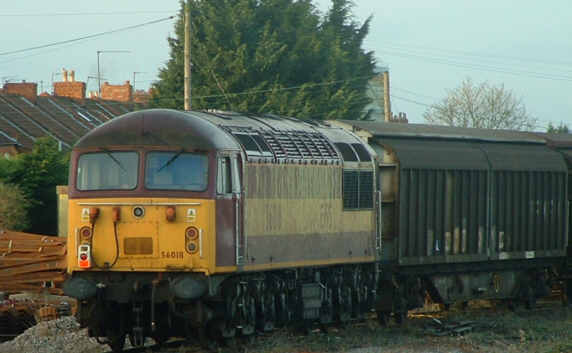 Moments later the object of the exercise appeared, preserved Western D1015 Western Champion working an EWS freight on its way to an Open Day at St. Blazey via working 6V70 freight, with 60085 dead in transit behind. Another view of the pair, D1015 has been preserved in its original, experimental, golden ochre livery of 40 years ago. Talk about bringing back the past! And on a service train! 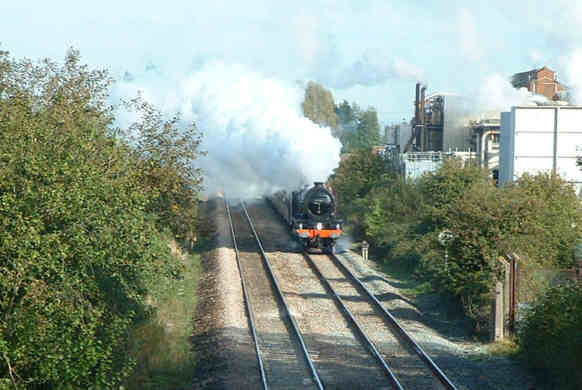 On Saturday 19 October 2002 ex LMS Pacific 6201 Princess Elizabeth worked the Bristol - Plymouth - Bristol legs of an excursion from Paddington to Plymouth. 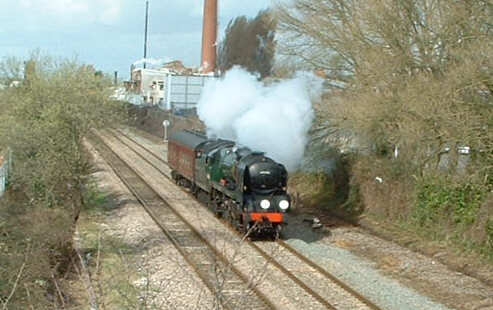 This first shot of her shows her wreathed in steam passing the Cellophane factory on the down run. 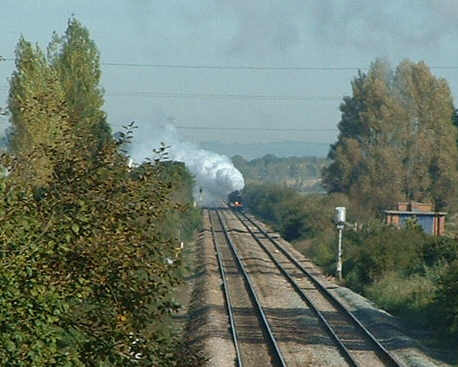 Closer to my vantage point on the Bath Road overbridge she was still wreathed in steam as these two shots show, she was running well, a great sight - a maroon loco on a maroon train. If only it had been warmer so the steam didn't hide her so much. 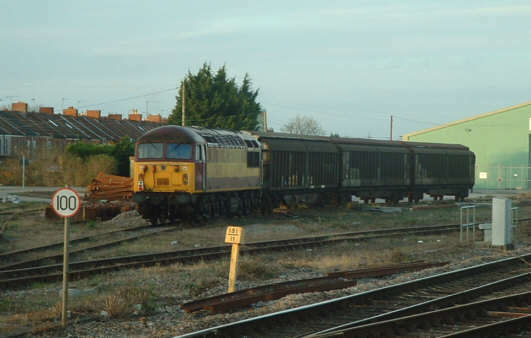 On 22/11/02 56018 failed in Bridgwater Yard with a freight working, it was still there on Sunday 24/11 when I took these photos of it there. 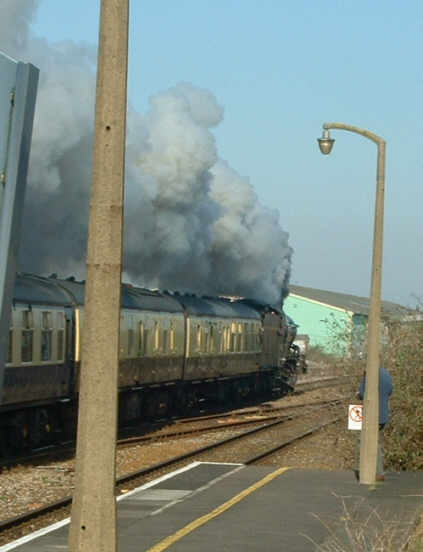 On 15 February 2003 5029 Nunney Castle worked up through Bridgwater with a special, I managed two shots of it - quite some going as she was really moving. 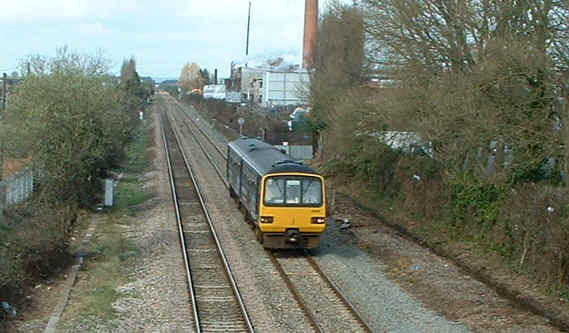 For several Sundays in February and March 2003 the line through Bridgwater was closed for engineers to relay track, on the 23rd. 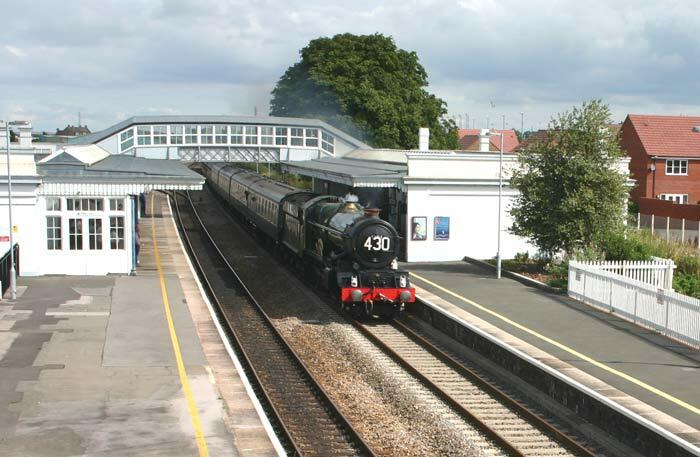 they were in Bridgwater station itself. 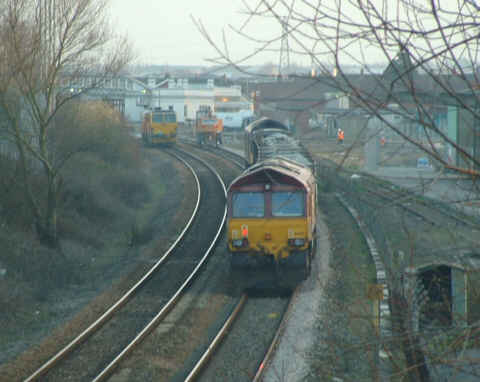 In this view a pair of EWS locos were top and tailing a ballast train while various machines were working in the station. 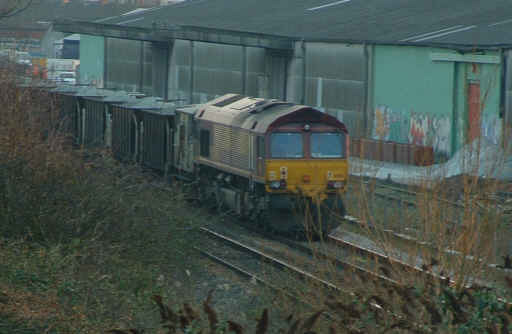 66213 nearest the camera and 60042 Hundred of Hoo at the other end. 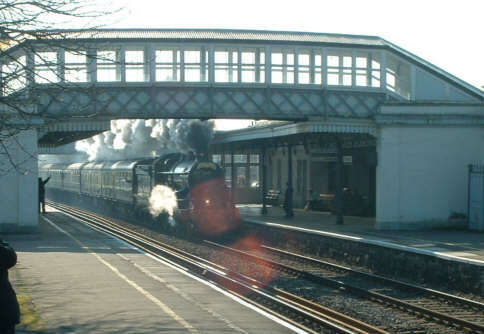 On 22 March 04 Bulleid West Country pacific came past Bridgwater en route to the West Somerset Railway's Spring Steam Gala. 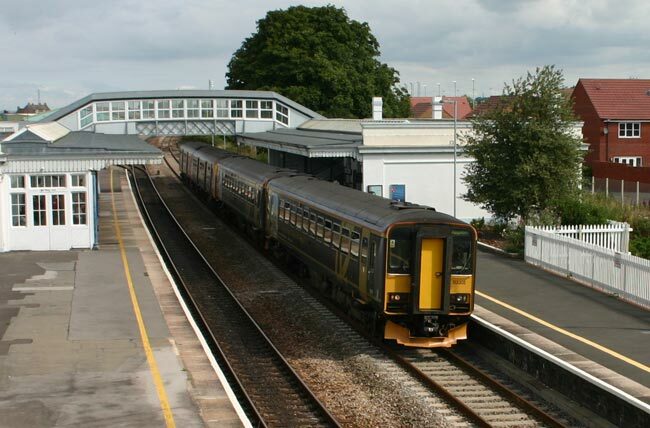 Whilst waiting for the pacific a Class 143 Pacer came down on a Bristol - Taunton stopper, what a contrast! 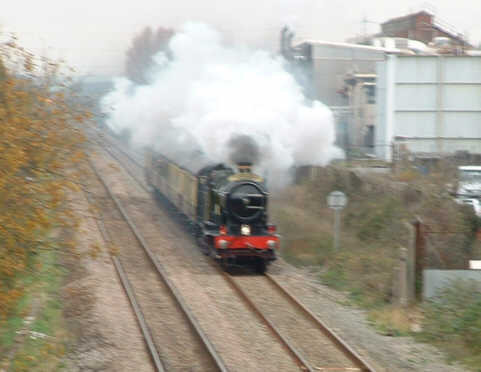 In late November 3440 City of Truro worked a Bristol - Plymouth special, this rather hurried shot sees her passing Bridgwater going well for an old lady. 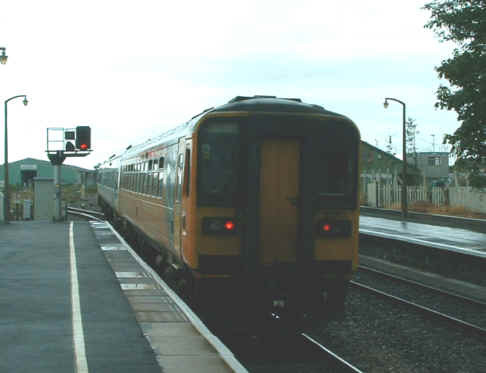 On 12 August 2006 this sprinter formed of 2 Class 153s in "Great Scenic Trains of Devon and Cornwall" livery and a Class 150 Exmouth Avocet turned up while I was waiting for the King. 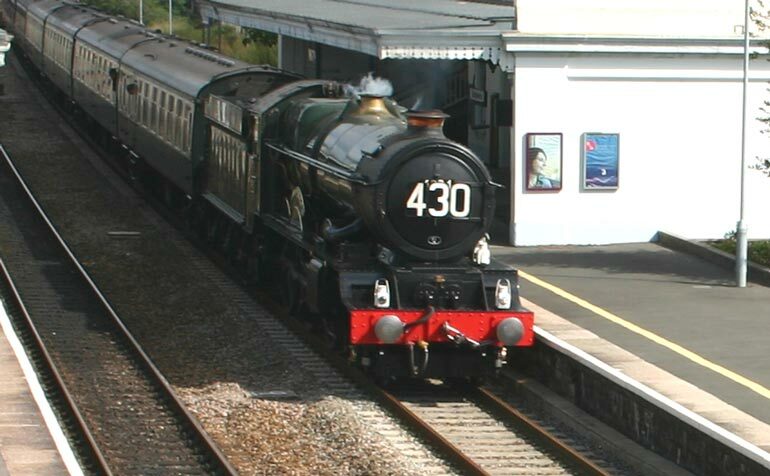 6024 King Edward I duly appeared running superbly with the Bristol to Kingswear "Torbay Express", what more can I say , magnificent machine! Photos not otherwise credited are ©2001 - 2006 S G J Huddy. Other photos are included with permission of the copyright holders.